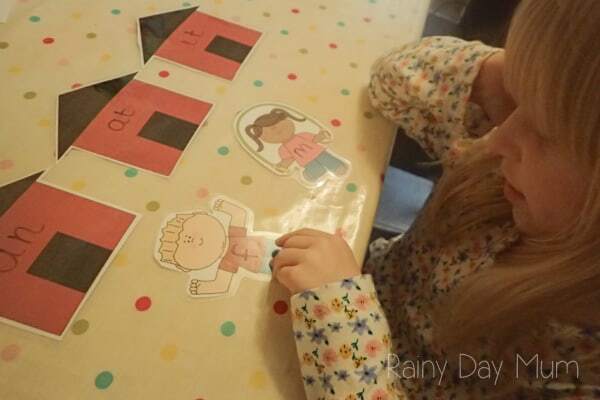 It’s such an exciting time when your child learns to recognise letters and understands that blending them together can make words – we’re working at just this level at the moment and with T we’re happily recognising and blending to make CVC words and working on our first CVCC words as well. 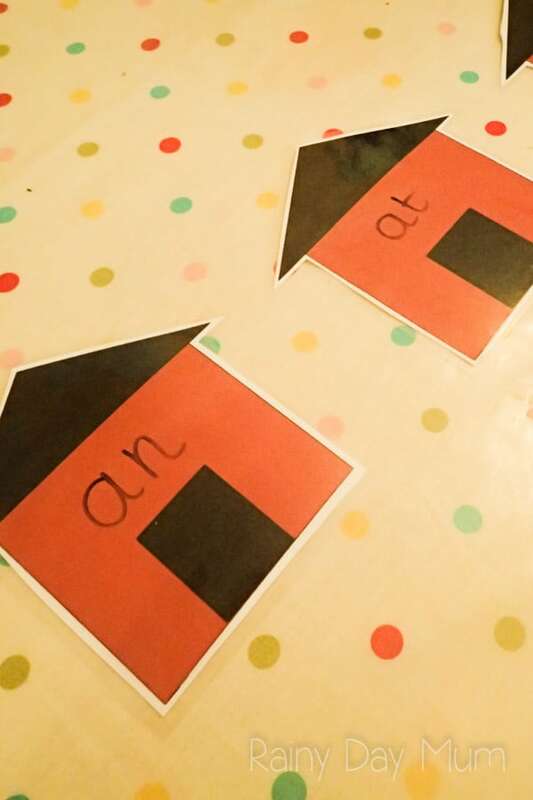 This week’s theme for the bloggers of The Early Education team (see our posts on all social media by following #TeachECE) is all about neighbourhood and to help T with her blending we have some word family houses and the people that live in them including a FREE PRINTABLE. Download the Word Family Houses Sheet and print – it contains a boy and girl character as well as 3 neighbourhood houses. If you want to work on more than 3-word families at a time then print out page 2 multiple times. Cut out around the houses and children. 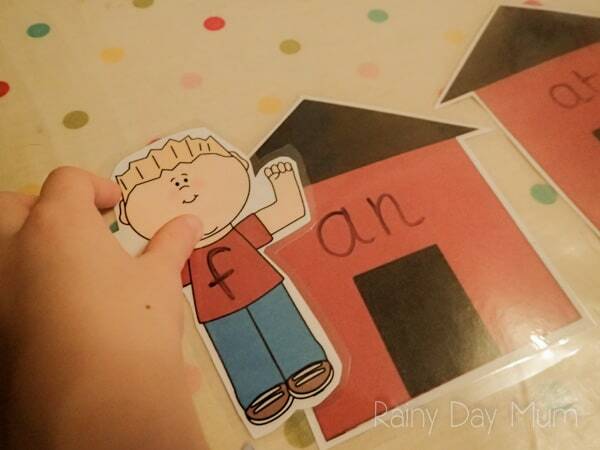 Laminate so that you can reuse with different phonemes and endings. 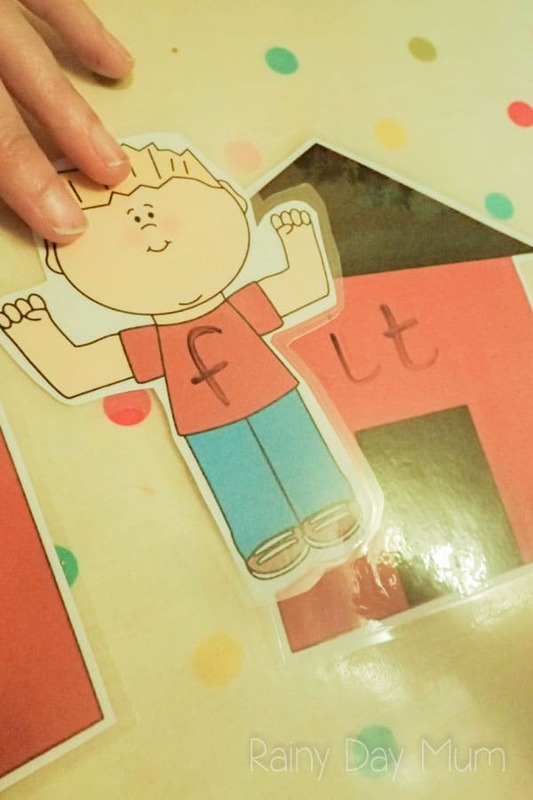 If you don’t have a laminator you could use contact paper or print out multiple houses and children to work on the whole alphabet and different word families. We are working on the letters f and m at the moment as T confuses the f and t when written down and the m and n sound. 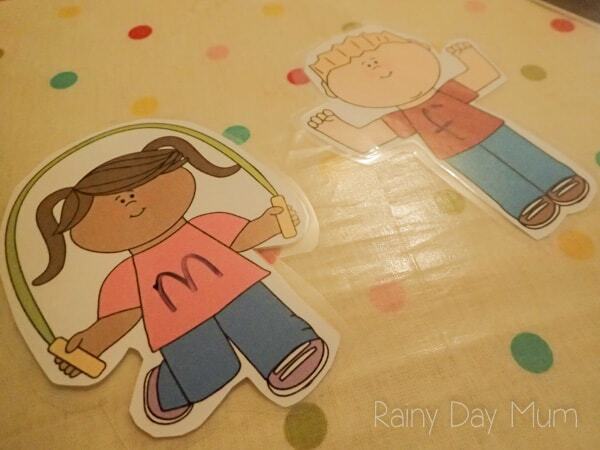 But, as the characters are laminated we can erase and reuse for other phonemes and sounds (not sure what we mean by a phoneme then check out our explanation of Phoneme’s Diagraphs and Trigraphs). I then added some word family endings to the houses – it doesn’t matter whether the phonemes and word families you have chosen actually make words at the early stages of reading (and especially if you are based in the UK where at the end of year 1 children have a phonics test where they have to read pseudowords and real words testing their phonics skills). We then took the children to each house in turn and sounded out the words and then blended them together to read the word we had made. Check out T and I playing with the word family houses above. 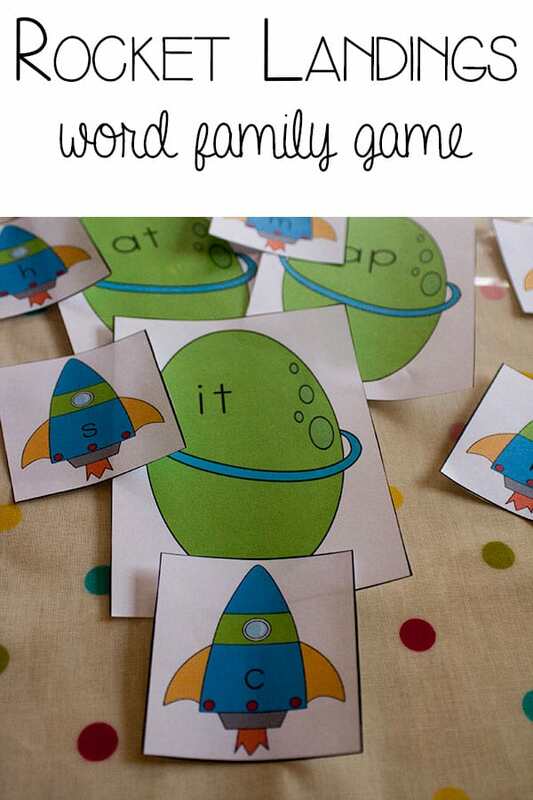 Check out our other word family game – where you can land the rocket on the word family planets to read and create the words. This is something we will be able to use today. thank you! Great activity! The printable is wonderful and I will definitely be printing it out! Love all the was you can reuse these! I think we can even using them for uppercase and lowercase letter matching! unit does not result in any improvements. You should be able to find a list of companies that provide air conditioning maintenance there.